We had a bunch of cream left over after making Kim’s Yummy Pasta and we were trying to come up with some ideas for dinner. 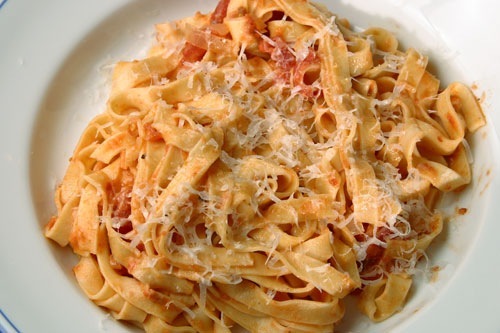 After poking around our recipes we came across this recipe for a Vodka Cream Sauce. Instead of using boxed pasta we went for some fresh pasta. I read somewhere that alcohol can bring out additional flavors from tomatoes. I am not sure if this is true, but the sauce sure was tomato-y. 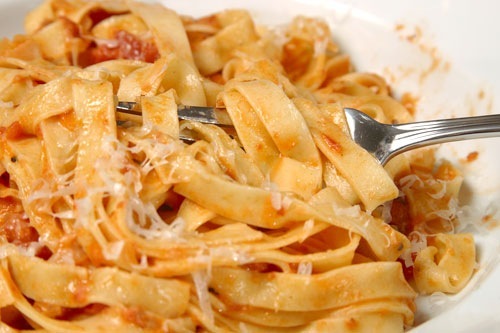 The vodka also gives the sauce a nice zing and cuts through the richness of the cream. I skipped the basil, I didn’t have any around and didn’t want to splurge on any. 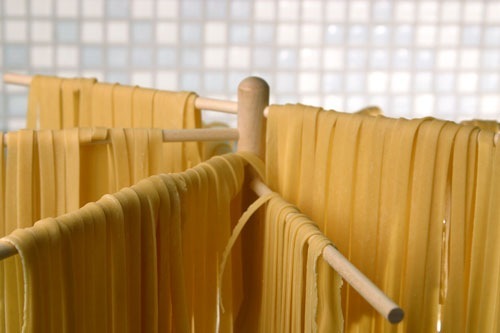 The recipe for the fresh pasta can be found here. I made this last night. With a couple of exceptions, I followed the recipie which I don’t usually do, and it was fantastic. I made this dish with smoked salmon and it came out delish. The only added ingredient was a sqeeze of lemon near the end.